John Mossey Restorations used to be one of the leading classic motorcycle restoration companies in the UK. They are not any more. Unfortunately they stopped trading under that name, but there’s a new mob in town that have taken over where they left off. They are called JMC Classics and still have the talented John Mossey as the head engineer and designer. It looks like JMC are pretty much the same classy outfit, specializing in restorations of classics and unparalleled new builds of Egli-Vincents and Norvins, just under a slightly different name. 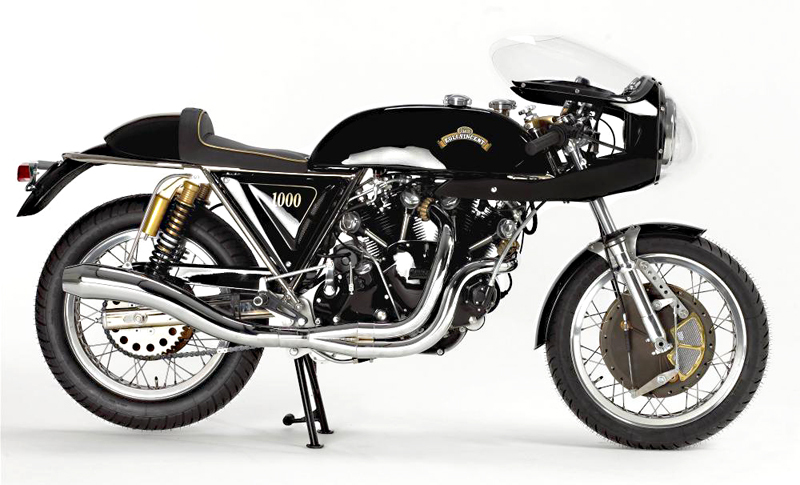 The new JMC Egli-Vincent which was originally released as a 1000cc is now available as a ballsy 1200cc version, which will definitely get a lot of people excited. We asked Mr Mossey the price of the new Egli-Vincent 1200cc but he would prefer to answer the question to serious buyers (he obviously saw right through our cheap leathers). If you are interested in buying one of these stunning bikes, or just want some info, visit the JMC site. To check out more mouth-watering restorations visit their impressive gallery.